Amber was born and raised in Cincinnati, Ohio. She and her husband, Alex are foster and adoptive parents and have six children. She is a Cincinnati Christian University Alumni with an AA in Biblical Studies and an AA in Deaf Studies. She attends Vineyard Church Northwest with her family. Amber has been dancing for over 20 years and her background includes training in ballet, davidic dance, modern and other styles. She has been choreographing and teaching ballet for 11 years. Amber is inspired by a mixture of dancers that include Kathy Thibodeaux, Katherine Dunham, Lester Horton, Misty Copeland, Mia Michaels and Michael Jackson. Her passion for dance later turned into a longing to see this art form returned to the Lord. She began dancing with local Christian companies in 2000 and 9 years later, founded Ballet Reflect. 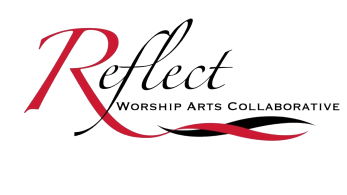 In 2012, the Lord began to speak to her about his desire for the arts and laid on her heart the vision of Reflect Worship Arts Collaborative (RWAC) which was later founded in 2014. Amber strongly believes that God has something to say through the arts and she is dedicated to allowing God to use RWAC as a voice. Wendy started dancing at the age of 4 in Pennsylvania where she was born and raised. Married to her high school sweetheart, she and her husband have been living in Cincinnati since 2001.They have two daughters and worship at Crossroads East Side. As a student, Wendy trained with Pennsylvania Regional Ballet, Central Pennsylvania Youth Ballet and Boston Ballet. She received a Bachelor of Fine Arts in Dance from Wright State. After dancing with the Dayton Ballet II for 3 years during college, Wendy danced professionally for the Dayton Ballet from 1995-2000. Her teaching experience includes all ages from preschool through adult, spanning over the past 15 years. She has been serving as Ballet Reflect's Assistant Director and Sr. Company dancer since 2013. Wendy has also serving as the Director of Ballet Reflect's Jr. Company.